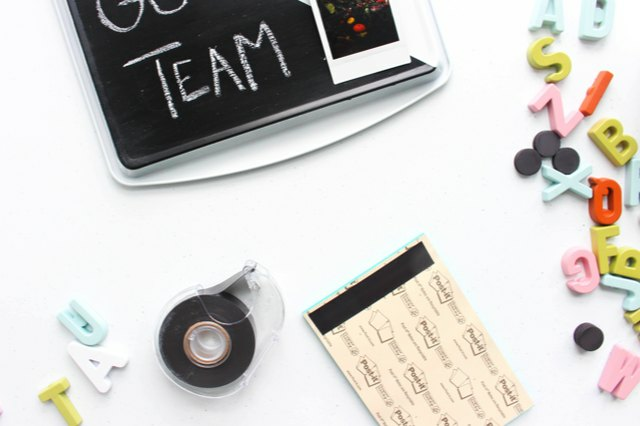 Make a stylish and functional memo board out of a cookie sheet -- you can customize each board to match any aesthetic. It's the perfect gift for any busy parent, teacher or student to encourage organization in a fun way. 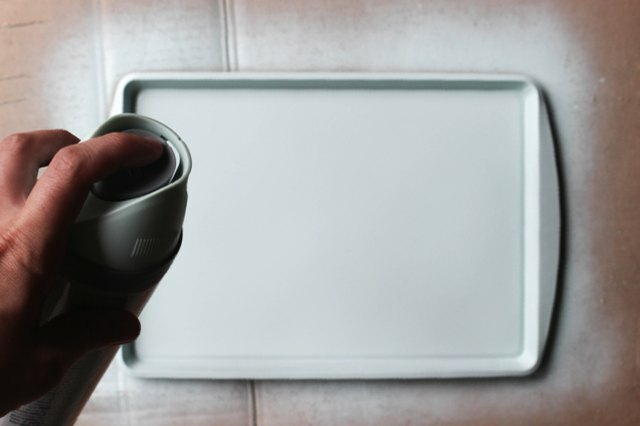 Prepare the cookie sheet for painting by making sure it is clean and dry. Use steel wool to scuff the surface to allow the spray paint to adhere properly. 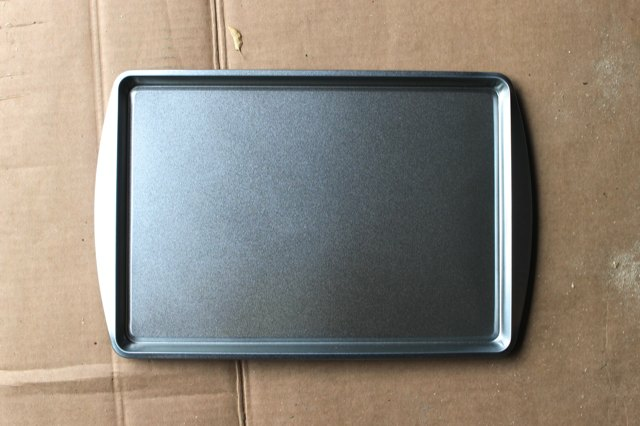 Spray paint the cookie sheet by holding the can 10 to 12 inches away, while making long, even strokes. Let the first side dry before turning the cookie sheet over to repeat the process. Always spray paint in a well-ventilated area with protective material underneath the object being painted. 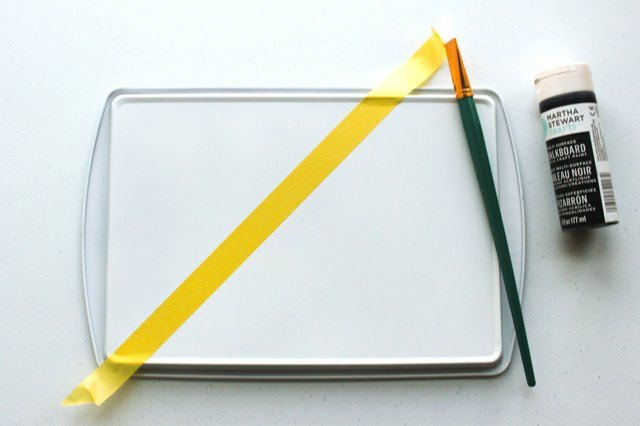 Once the paint is dry, use painter's tape to create a straight, graphic line across the cookie sheet. 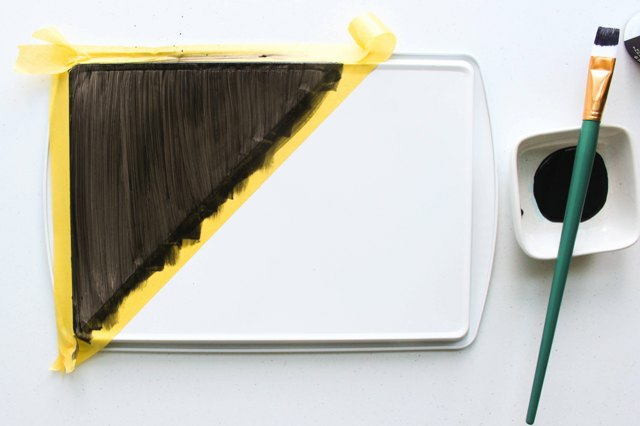 Use a paintbrush to paint one section of the cookie sheet with chalkboard paint. This process may take several coats of paint before it is ready for the next step. Chalkboard paint can be found at most craft and hardware stores and comes in a variety of colors and forms, including spray paint, outdoor paint, craft paint and household paint. Once the chalkboard paint is completely dry, it is important to lightly coat the surface in chalk. Then, simply wipe it off with a dry cloth or paper towel, and it is ready for writing. 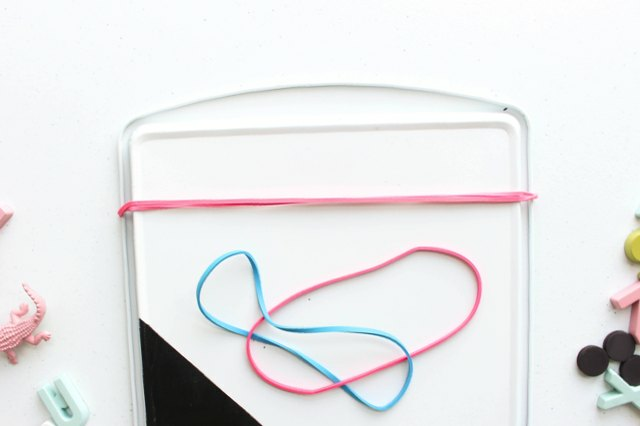 Wrap one or two large rubber bands around the top of the memo board. This will be used to hang the board and hold extra items like pens, chalk, photos, or notes. Cut a strip of magnetic tape or add adhesive magnets to any notepad for an easy way to jot down notes, reminders and lists. Add notepads as well as magnets in colors and shapes that will create an inviting area to hold accomplishments as well as important organizational information. 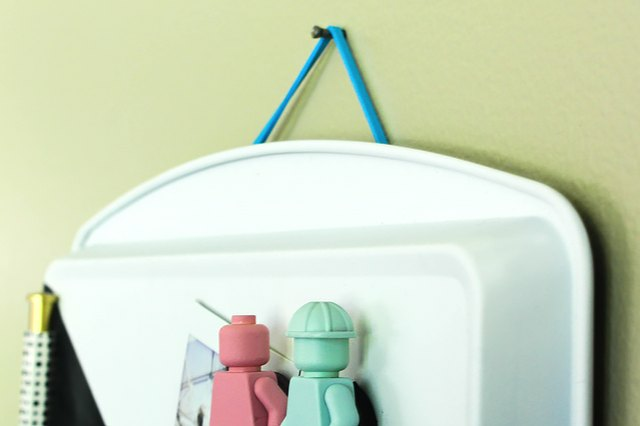 Using the rubber band, hang the memo board in a prominent location in the home for easy access and quick reminders. Update the memo board regularly and stay organized year-round.